2013 - 2016 Model Browning Trail Cameras come with a 6 ft. camera strap with an all metal heavy duty buckle, an instruction manual and the Buck Watch Timelapse Viewer software mini CD. 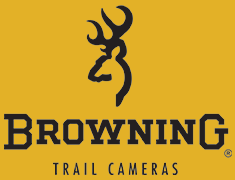 Starting in 2017 Browning Trail Cameras come with a 6 ft. camera strap with an all metal heavy duty buckle and an instruction manual. The instruction manual provides directions to our website where the Buck Watch Timelapse Viewer software can be downloaded. The 2017 Defender 850 and Defender 940, model#'s BTC-9D and BTC-10D, come with a 6 ft. camera strap with an all metal heavy duty buckle and an instruction manual. The instruction manual provides directions to our website where the Buck Watch Timelapse Viewer software can be downloaded as well as the Defender App. This camera also includes (4) CR123A lithium batteries and (1) 16GB Micro SDHC memory card with adapter. If you are unsure of what year your model trail camera belongs click the link below.